Entering a brand new challenge with this glitzy beauty. 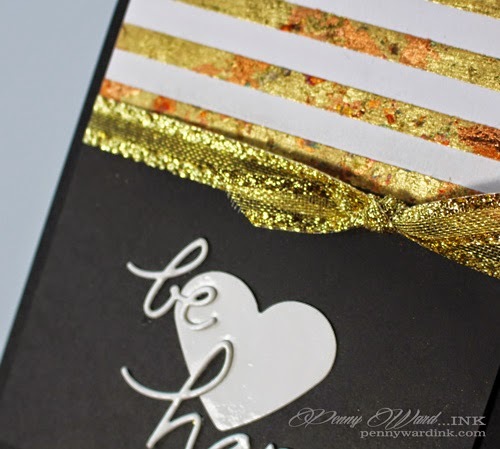 Scor-tape was used on the top portion of the card, then Metallic Flakes were rubbed over the tape for some stylish stripes. Be Happy was die cut, then die cut again into a punched heart. All of this was then coated with my favorite irRESISTible Pico Wedding Dress embellisher. Check out their crafty blogs by clicking on their names! 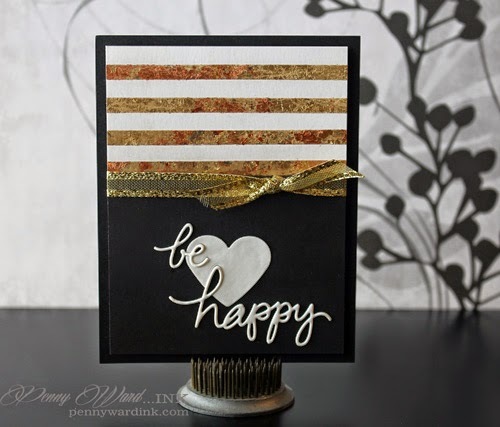 This card is gorgeously irresistible!! So sparkly and so in tune with the inspiration photo!! Way to go this card amazed me and made my heart feel happy!! Shine on, my dear, creative friend!!! Oh this is a Beautiful creation!!! Thanks very much for the Shout Out about my blog too!!! !